Ecodesign now becomes one of theDemanded and fashionable directions of creating an original interior of a house or apartment. Especially the eco topic is relevant for urban residents of megacities, because in the stone walls it is so nice to recreate natural, natural conditions. 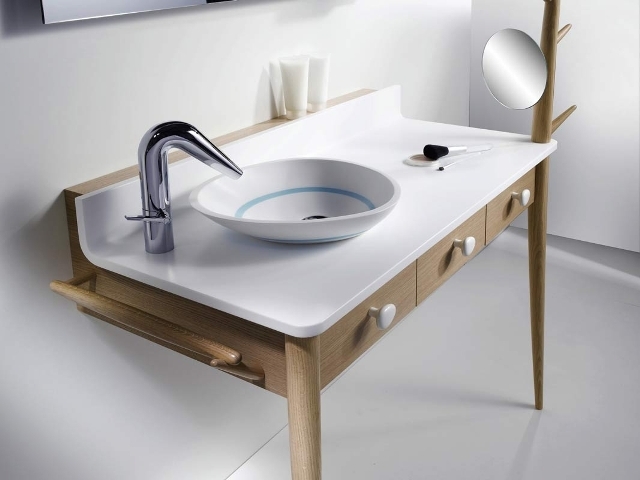 The French company Delpha has developed a collection of bathroom furniture in the eco-style, called Collections Inédites, which literally means "Unreleased Collection", as the furniture concepts are not yet for sale. In the manufacture of interior items of the bathroomOnly natural materials are used - wood and processed raw materials. Pastel shades of the neutral scale create an atmosphere of harmony and balance with nature, soothe and tune to a positive perception of the world. The furniture was designed by the French designers Antoine Fenoglio and Frédéric Lecourt from the design agency Sismo Design. 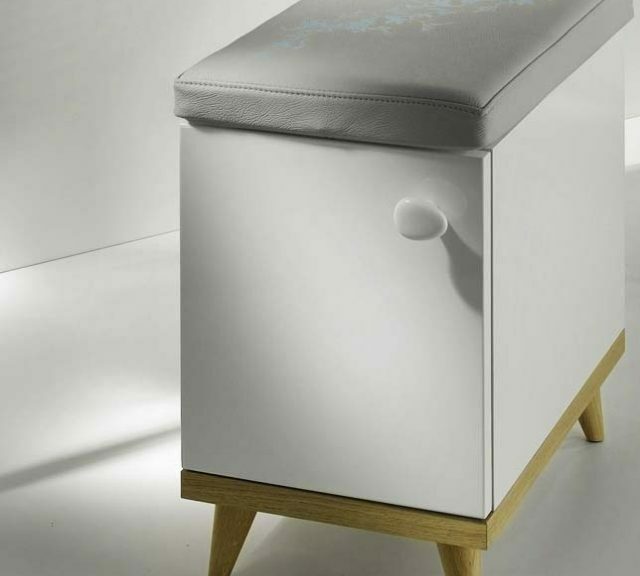 Inspiration for the concept was found in a short quote "if we had time to live" ... Part of the collection presented here consists of a table with a built-in sink, a large mirror, a lamp - a floor lamp, a pencil case and a pouf, simultaneously acting as a storage cabinet. 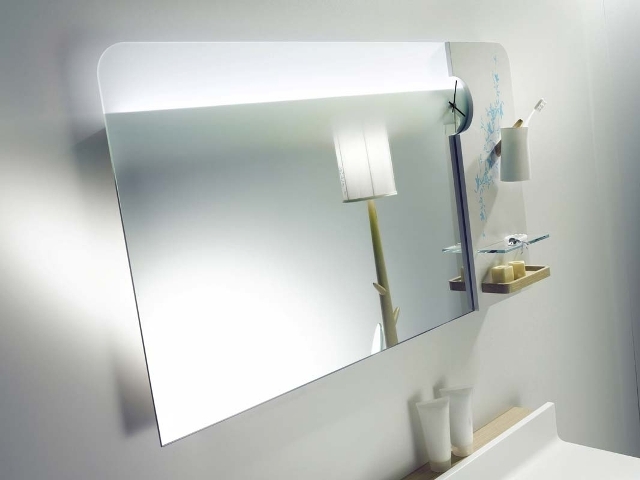 A large backlit mirror is equipped with several small open shelves, a glass for toothbrushes and a stylish clock. The console with a built-in sink in the form of a bowl also serves as a dressing table with small drawers for cosmetics and other things. On the side there is a crossbar for towels. Lamp - floor lamp is like a continuationLegs of the table, growing from the console. And outwardly it resembles a young tree with shoots, which also serve as a hanger. In addition, a small mirror is attached to the lamp. 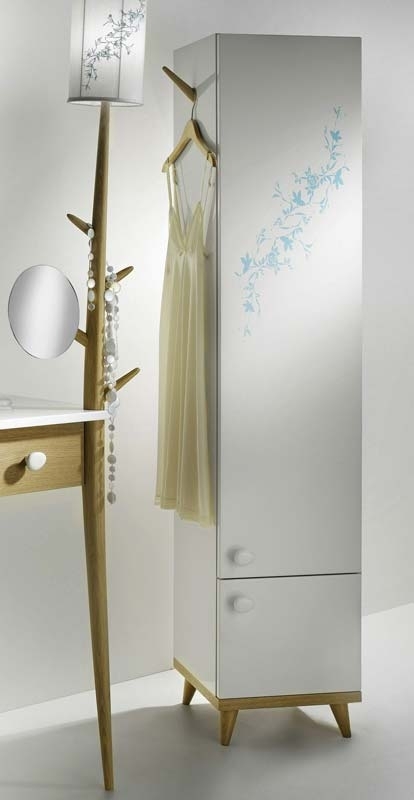 From the high cabinet for the bathroom is also growing twig, which is convenient to hang clothes and bathrobes. 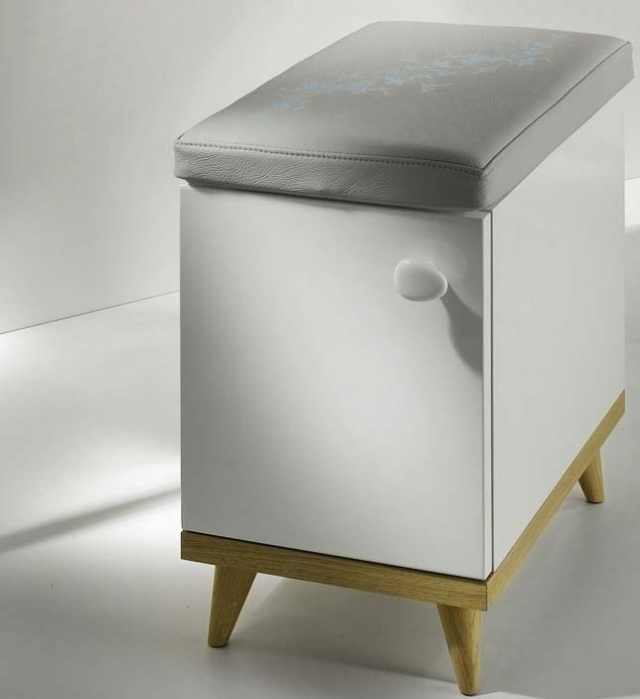 A small ottoman-pedestal perfectly complements the interior of the bathroom. All pieces of furniture are decorated with a blue floral ornament, which, as it were, binds the whole concept into one whole.